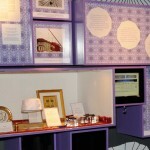 Exhibition Hire – Muslim Museum UK – Uncover the 1400 year relationship between Britain and Islam. Explore the history and heritage of Muslims in Britain. 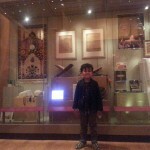 The Muslim Museum Initiative has an ‘Introduction to Islam’ exhibition that can be hired in part or as a whole. The exhibition hire cost is £100 (excluding insurance and delivery) for a day, a week or a month, then £100 for every additional month. Note: Many of our items are currently on loan to Leeds City Museum for their ‘Islam: Faith in Focus’ exhibition in their Voices of Asia Gallery.